Our products are marketed through distributors and resellers, compressed air specialists, to whom MAC3 guarantees a full support. The collaboration between MAC3 and its distribution channel offers to our customers local services provided by independent, skilled and trained companies. Our products are also available at many regional, national or international rental companies, who are convinced of the performance and the quality of MAC3 products. 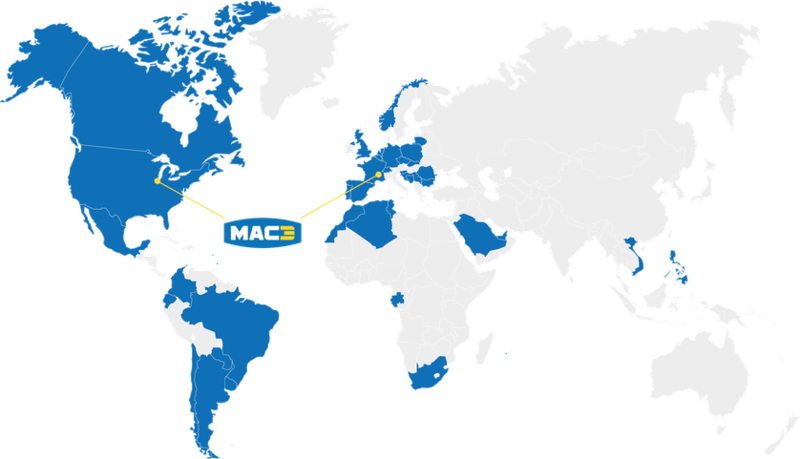 Since 2014, MAC3 has been also focusing on international markets and is present in over 30 countries.